The California Association of Flower Growers & Shippers (CalFlowers, formerly known as NORCAL) was founded in 1941 by a small group of flower shipping companies to foster the success of the California floral industry within the United States. Today CalFlowers is the leading floral trade association in California serving growers and the entire supply chain in the state and in 47 states across the nation. In addition to the extremely valuable transportation benefits enjoyed by all CalFlowers members, the Association is also becoming a leader to bring fresh cut flowers the U.S. market, especially promoting the benefits of fresh flowers to new generations of American consumers. 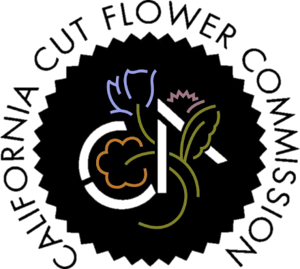 Established in 1990, the California Cut Flower Commission (CCFC) is a state agency responsible for representing more than 225 cut flower and greens farmers in the Golden State who are dedicated to making sure flower lovers have access to the freshest, highest quality flowers possible. After all, California is America’s leading producer of high-quality cut flowers and greens – supplying over 75 percent of all domestically grown cut flowers in the United States. While meeting the strictest growing standards in the world, California’s farms are dedicated to growing for a future of consumers who care about the source of their flowers. The California Cut Flower Commission is governed by an elected board of Commissioners, each representing their respective district and region of production. SAF is the only national trade association that represents all segments of the U.S. floral industry. Our 7,000 members are the industry’s top retailers, growers, wholesalers, importers, manufacturers, suppliers, educators, students and allied organizations. 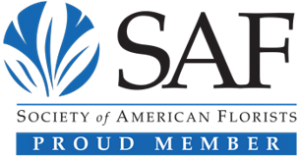 SAF is the face and voice of a strong, unified floral industry in Washington, D.C.
SAF membership is open to all individuals and companies in the floral industry. Our Mission: The Society of American Florists is the association that provides marketing, government advocacy, industry intelligence and best practices information for all participants in the U.S. floral industry. And since selling is what it is all about, SAF helps the entire floral industry with an aggressive public relations campaign educating consumers about the benefits of flowers. Certified American Grown is a unified and diverse coalition of U.S. flower farms representing small and large entities across the country. Together, America’s flower farmers are giving consumers confidence in the source of their flowers by providing the only third party guarantee in the floral industry that the bouquets and bunches that are purchased were actually homegrown. Launched in 2014, the iconic and beautiful Certified American Grown logo is now the largest and most successful consumer facing brand promoting the origin of flowers in the market. Today the program certifies hundreds of millions of stems of flowers each year. The brand is now a widely sought after guarantee, appreciated by retailers, designers and consumers alike. Not only does the brand communicate the domestic origins of the flowers and foliage, but it also stands for the kind of high quality, variety and farm freshness people desire and prefer. 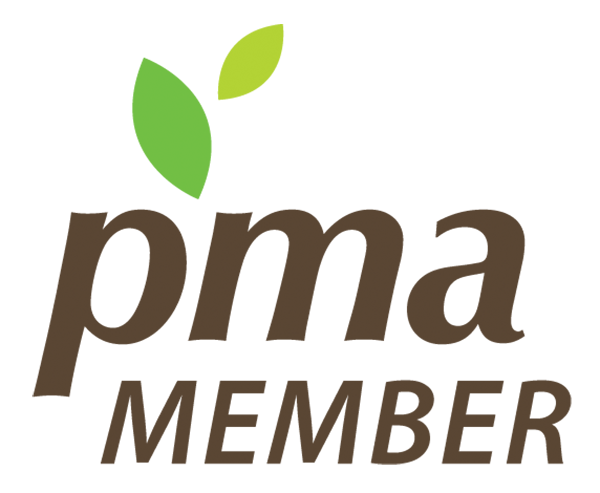 Certified American Grown is led by a council of American flower farmers and industry advisors. The members of the council are flower and greens farmers from throughout the United States who are committed to a unified promotional and advocacy effort that establishes an identifiable and iconic brand that communicates to the public the domestic origins as well as the high quality, freshness and consistency of American Grown Flowers. Each council member represents one of the program’s seven districts. In the last few years, no one in the floral industry has changed more than the wholesale florist. Today, wholesalers are in a new position in the distribution channel, serving a vital and expanding role in floral distribution. And no organization is as uniquely positioned to meet the needs of floral distribution today as WF&FSA. We understand the logistical, operational and marketing challenges that both wholesalers and suppliers face in a changing market. We tackle the big issues – increasing profitability, improving logistics and reducing operational costs – as well as the every day ones, like helping you find new sources, new customers and new ways to sell. WF&FSA’s programs, services, events and communications are designed to provide the solutions, guidance and information your business demands today – and into the future. WF&FSA is the one – and only – association solely dedicated to the floral wholesale business and its suppliers. Let WF&FSA become a valuable resource for you and your company. The Produce Marketing Association is a trade organization representing companies from every segment of the global fresh produce and floral supply chain. PMA helps members grow by providing connections that expand business opportunities and increase sales and consumption.